Pottuvil is a small town which is located at a distance of 5 kilometres from Arugam Bay. 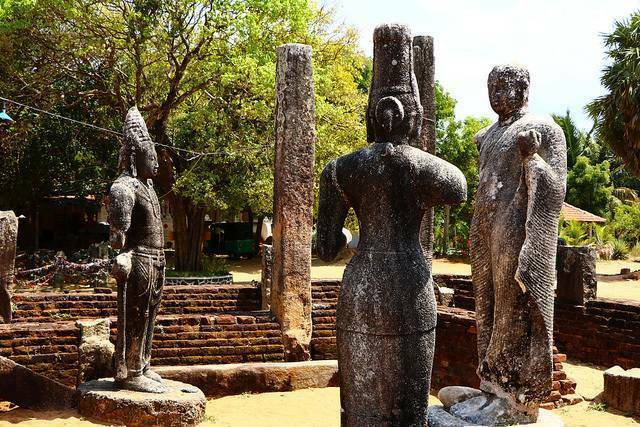 The major tourist destination of this town is Muhudu Maha Viharaya, a 2000 year old temple that retains all the splendour though it stands in ruins today on the shores of Indian Ocean in Pottuvil. It was built by King Kavan Tissa of Ruhuna to mark the landing place of Viharamahadevi, mother of king Dutugamunu. The temple has many ruins and remnants of statues and carvings that belong to the ancient times like those of Lord Buddha and Bodhisattvas. Many statues are believed to have been washed by the sands and gone under the ground that need to be excavated.